1. Boot off your Windows Disk. 3. 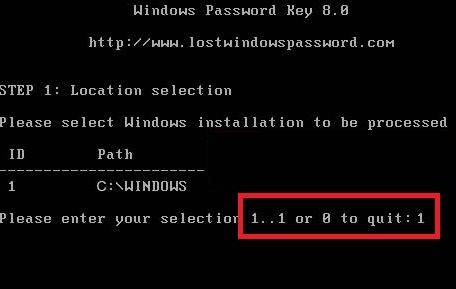 Keep on following instructions and when you get the Command Prompt action, select to open it. 4. Now first backup the original sticky key files by typing the following command copy c:\windows\system32\sethc.exe c:\. 5. Now again type another command copy c:\windows\system32\cmd.exe c:\windows\system32\sethc.exe. 6. You will get the result that the sticky key files have been copied. 8. As the PC restarts, press the Shift Key 5 times, the elevated command prompt will appear. Replace Nick with your own username, and NewPassword by the new password that you want to set for. 10. Your new password will be created and you can login with this newly created password. 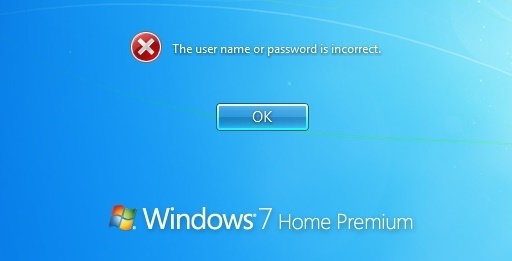 The above steps will definitely help you to reset your Windows 7 Password. You are now aware that you have to undergo a long procedure to recover your lost password. 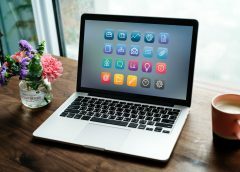 Users who are expert in handling troubleshoots can follow the steps but new users, or users who are not so tech savvy may get puzzled while following these steps. Hence, a potential solution to save you from the hazardous job is to install this super easy, handy software application called the Windows Password Key. 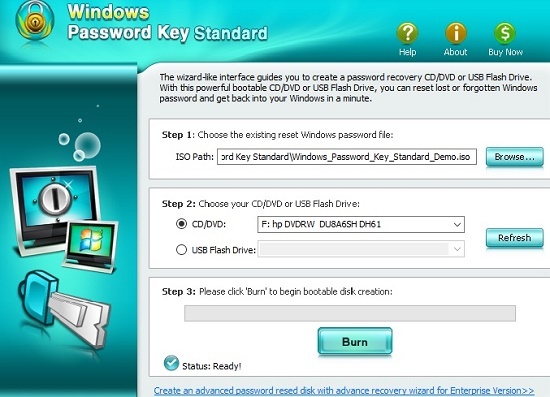 Windows Password key makes Windows 7 password recovery extremely easy. All you will need is a CD/DVD/USB. However the USB option is available for the paid version ($19.95) wheres the free version only supports CD/DVD. 1. 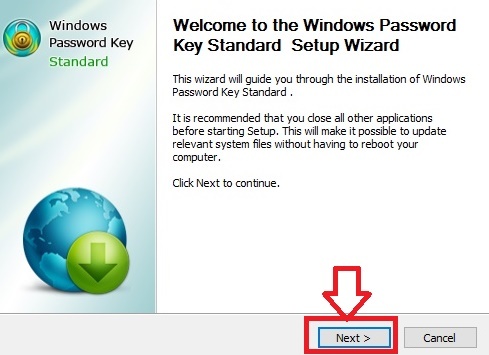 Your first step is to download Windows Password Key application and then install the program by running the .exe file. 2. Next a set of instructions will follow. Perform as you are directed. The installation will take some time. Once done, click Finish. 3. The next step is to burn the vacant CD/DVD. So open the application, and go to Browse. Don;t forget to insert your fresh CD/DVD. 4. 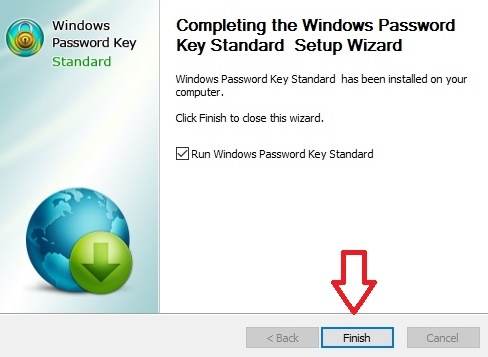 Browse and find the existing Windows Password Key image file. The file is usually located as the default. 5. Select CD/DVD and click Burn. 6. Once you are notified about the completion of burning process, insert the DVD/CD that you have created in the PC whose password has been lost. Next, reboot your PC from CD/DVD/USB disk: press “F10” to enter “Boot Menu”. Since my machine is HP, so the Boot Options can be accessed by tapping F10 key. The boot option key may vary depending on manufacturers. Select CD/DVD disk from the list and then hit “Enter”. Next, type the ID number of the protected Windows installation, 0 to continue, or simply quit operation. 7. Choose the user (whose password is to be recovered) by typing its number of protected account. Hit Enter to proceed. Type “y” to confirm your operation. The computer will prompt you to specify if you want to ‘Reset password for another account? (y/n)’. Press the “y” on your keyboard to reset password for another account or type “n” to exit. 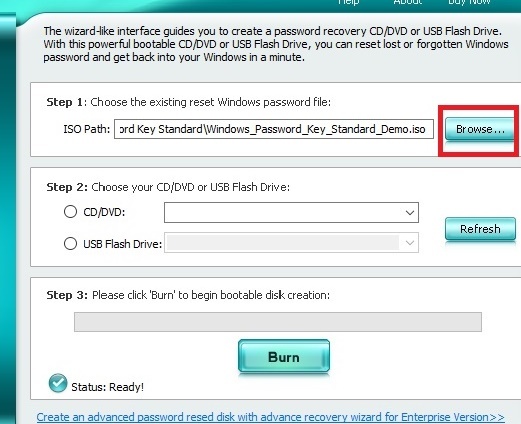 Eject CD/DVD and restart your PC. Now you can log in your computer without any password.